Placements: A full fledged Career Development Centre has been functioning in the college, offering result oriented services for building of commendable careers. IMSEC is now a TCS accredited college. The Career Development Centre has made excellent progress and has been successful in placing a large majority of its 3rd and Final year students in reputed companies including Infosys, IBM, Satyam, Wipro, NIIT Ltd, Headstrong , Accenture, Ranbaxy, Birlasoft, Convergys, uFlex and list goes on………. The Career Development Centre helps students in acquiring soft skills and professional communication as well as development of holistic personality which are essential ingredients of proficient professional. The college has entered into academic alliances with global MNCs including IBM, Microsoft and Oracle and offers their training modules to improve the employability of students. As a result of concerted endeavors of faculty and students placement committees, top notch companies like IBM, Infosys, TCS, have selected our students offering as high annual packages as Rs. 5 Lakhs. 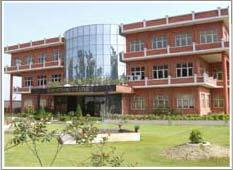 IMS Engineering College, Ghaziabad is a NAAC-accredited and ISO 9001:2000 certified institute which has been rated as No.1 amongst all Private Engineering Colleges in Uttar Pradesh and No.3 amongst all Technical Institutions in Uttar Pradesh including IIT-Kanpur, in a National Survey conducted by CSR-GHRDC. The overall position on all India basis is 23rd amongst Engineering Colleges of Excellence and 33rd amongst all colleges in India.